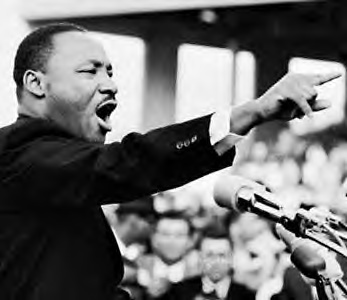 Free at Last: The 50th Anniversary of "I Have a Dream"
"I Have a Dream" Speech. It's the 50th Anniversary of Martin Luther King Jr.'s "I Have a Dream" Speech. I hold this dear anniversary very close to my heart, for many many reasons. First and foremost for me, however, have been these last few years - for his bravery in times of the most horrific backlashes from a society who did not want to "let freedom ring." He kept writing and kept speaking anyway. His heart burned for his followers and for those being hurt by the same people who were attacking him. When things were ugly, when I feared for my safety or for my husband's, when the voices of my beloved dancers were drowned out by the most disgusting, disturbing, hateful and downright terrifying words, anonymous phone calls, death threats and violence upon my family and at my home... I found myself looking for a way to stay strong, stay focused and feel loved. I am telling you this outright and straight forward. I found my strength, energy and passion could only be restored, my flickering flame could only be re-fueled back into fire... by the writing and lives of two men. Only. And Martin Luther King Jr. was the foremost of those two. When I was hurting? I turned to his words. When I was doubtful? I turned to his words. When I was scared? I turned to Martin Luther King Jr.
A man who was so deeply rooted in the Truth, whose foundation was so deep and so strong... that he did not waiver. He did not stop. Our nation has housed the most outrageous (at the time), free and whole-minded men and woman, but for me, I found my solace in Martin Luther King. I dedicated my second book "To my forefathers, who did not waiver. And won." This is one of the forefathers I was referring to. I tip my hat to you sir, I bend my knee to your bravery, I raise my hands in wonder at how strong your flame always blazed, and I will never be able to truly say, truly word or truly honor the blessing of your words. They have saved me. They have saved our nation. They have saved our people. "Let freedom ring" indeed. Happy 50th Anniversary to a speech by a man I could not have lived as I do without.